Multichannel Engagement Across Desktop & Mobile! 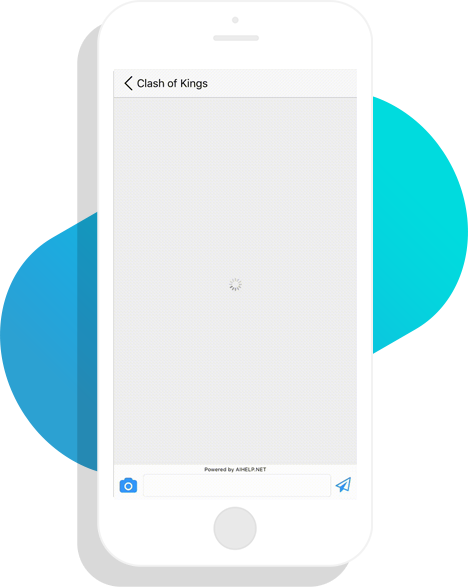 Messages can be delivered to your users while they are directly active in your mobile app. 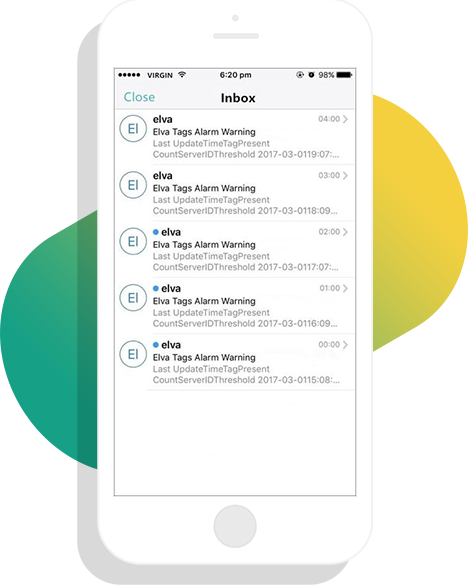 They are a vital component of an overall mobile messaging strategy, which includes other messaging types such as push notifications, mobile wallet messages, email and SMS. 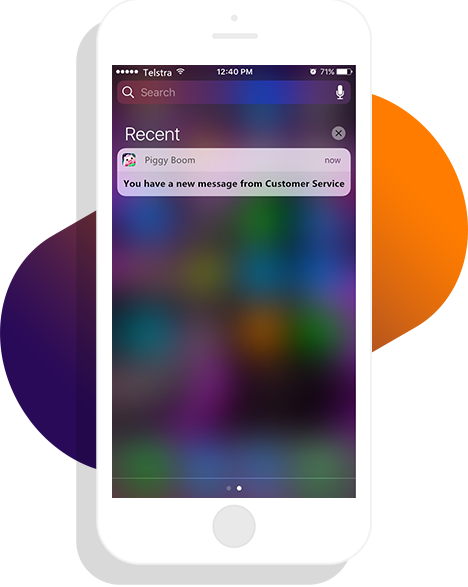 As a rule of thumb, operation support team send messages to bring users back to the core product. in-app messages, push notifications — pretty much all forms of outbound communication share the same objective. 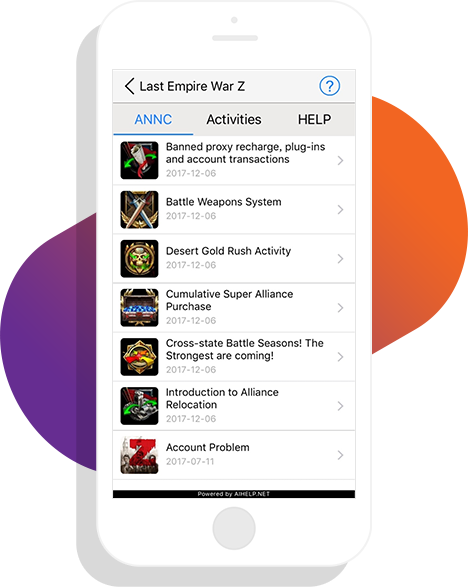 AIhelp provides a professional Operation Module that enables you to get most out of your In-App Activates, Announcements, News, In-game Strategies, Guide and more. We make it easier for your operation team to get higher engagement rate for their operation campaigns or/and activates. In-app Operations is emerging technology management activities that is formed to address a new set of performance management in your App being driven by virtualization and the Cloud to increase application diversity, and the agile development of custom applications. 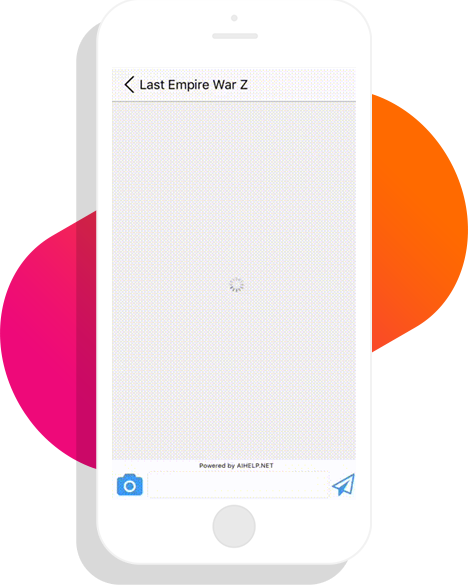 This feature designed to manage the engagement of the entire application ecology and to closely monitor the performance of end-to-end in-app engagement within the operational environment. AIhelp not only providing a customizable Form but also an intelligence Form that can instantly check the user issue and get feedback immediately with no even one step from human support team. The AIhelp cloud-based backend takes care of all checking steps, let us assume that user X lost his account and try to contact customer support team to solve this problem, the agents in your team may need more than 30 minutes to check review and ask users to provide some info about his/her account to come up with result that may not get user’s satisfaction. But with Auto-Check Form Feature, users enable to check their issues by themselves and get result instantly with no adopting due to automatic process. Improve customer relationships by providing them immediately response with our built-in chatbots that can seamlessly transition to team support when needed. It's automating users requests into our machine learning for powerful cloud-based analytics for better understanding the users requests and learn from CS agent's feedback and the support rate that provided by customer / users. 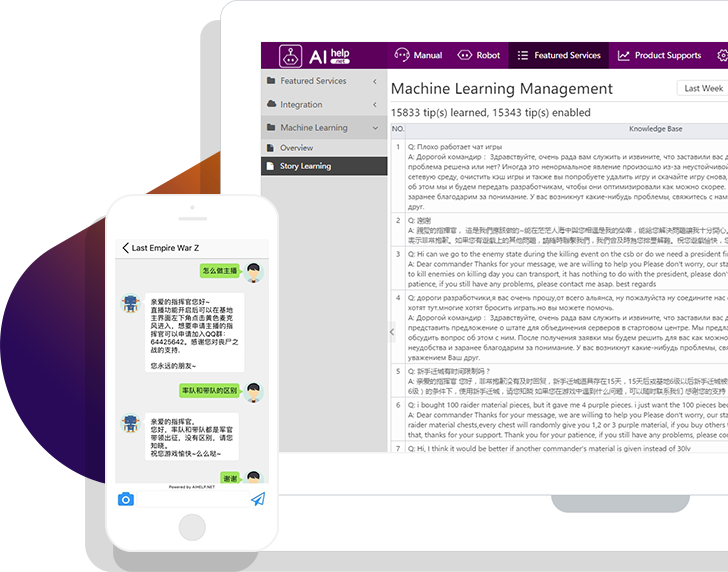 The fact, AI robot tries to learn the way to response from customer service agent refer to Team Support and User Evaluation feedback, so day by day the AI robot will support customer instantly and intelligently using Artificial Intelligence cloud-based analytics. Open a live channel for your VIP customers and show them more care to keep them longer in your App and get better rankings, retention, revenue and customer lead. The VIP customers can be recognized by the system itself with no need to add the new VIP list periodically. The Live Chat contains smart view and operation that enable you to be engaged with your priceless VIP customers. 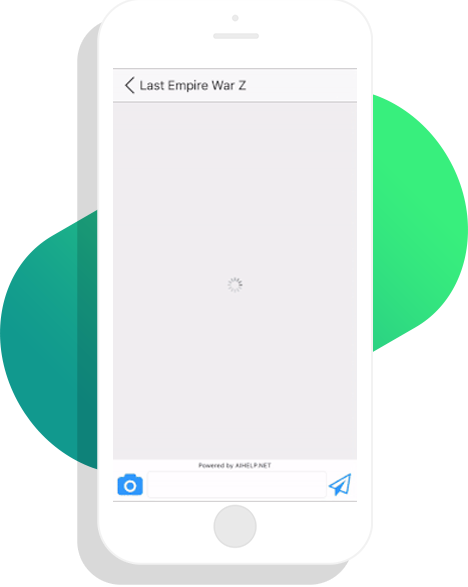 A push notification can help publisher to send real-time message to users who are away from the app. the message that pops up on a mobile device can set at any time; even users don't have to be on the app or using their devices to receive in-app notification messages that designed by you. It’s so seamlessly integrated in-app acceleration, the experience feels magical, It allows you to get instantly alert when there is any issue in Server, Payment, Account, etc. The system will alert you by sending a full report about the issue to the representative person. 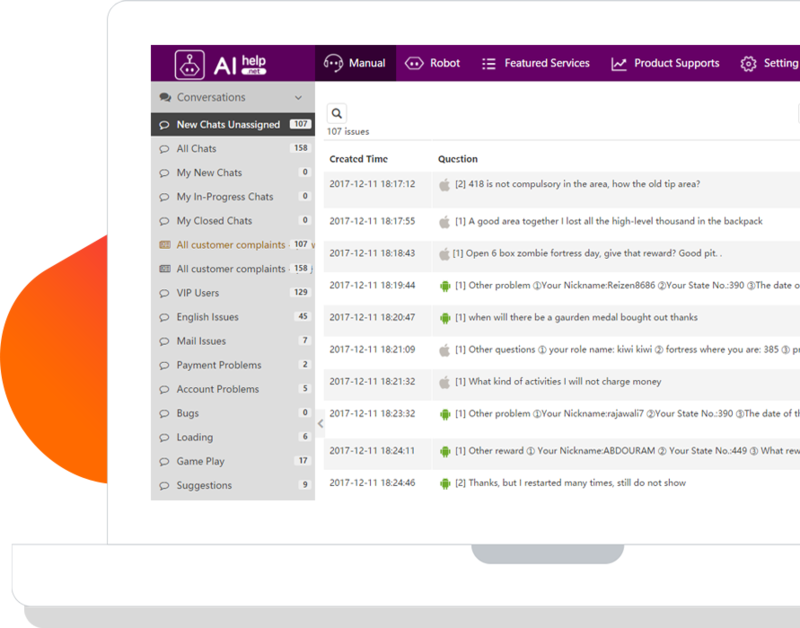 AIhelp dashboard is a portal designed to help you track, manage, setup and response your customers service that is formed to address a high-performance management in your App. When the Agent handles issues, they can put different tags on the problem, while Agent can add detail notes to the problem, indicating the current progress of the issue, in order to facilitate the next follow-up. 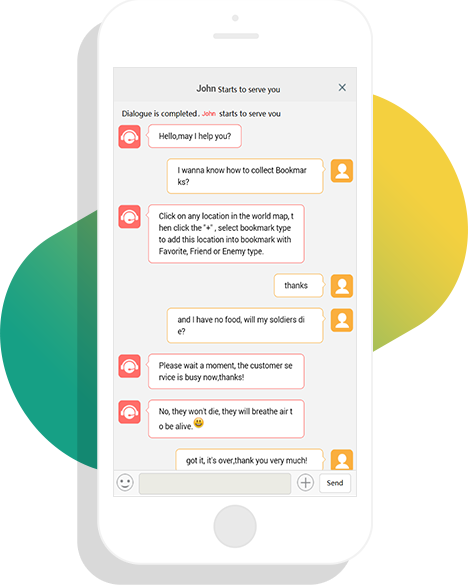 In the process of solving user issues, Agents can easily turn the repetitive problems into FAQs, and enrich the robot's knowledge base. If users consult these questions again, they can check the FAQs or ask the robot directly for help. Focuses on providing information on various aspects of the users data, and tries to bring the best practice data analysis to help you manage conversations with leads and customers at scale. AIhelp Insight makes a conscious effort to draw stockholder’s attention toward key massive data issues that can drive the future of your business and of the entire App habitat into different aspects. Over 40 languages supported by AIhelp. 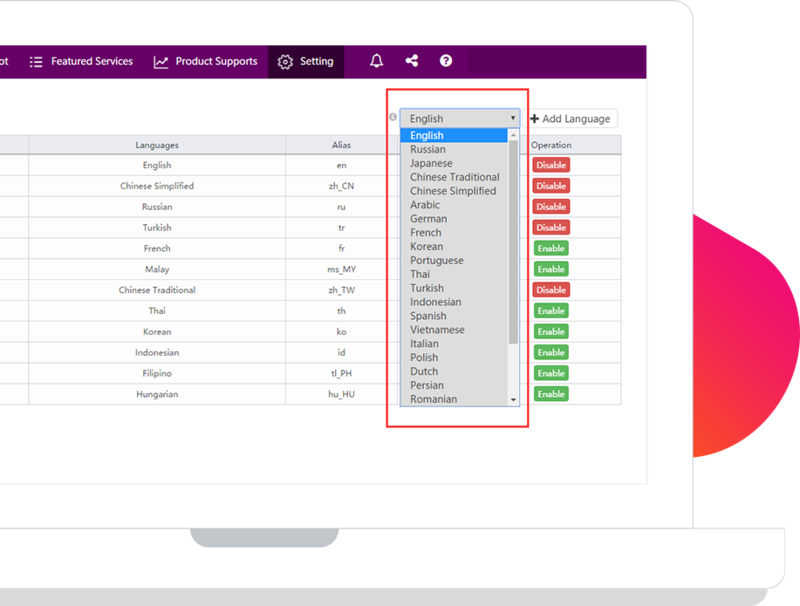 We made it easy for support team to understand users issue by clicking Translate to get the issues translated into the customer agent language and vice versa. 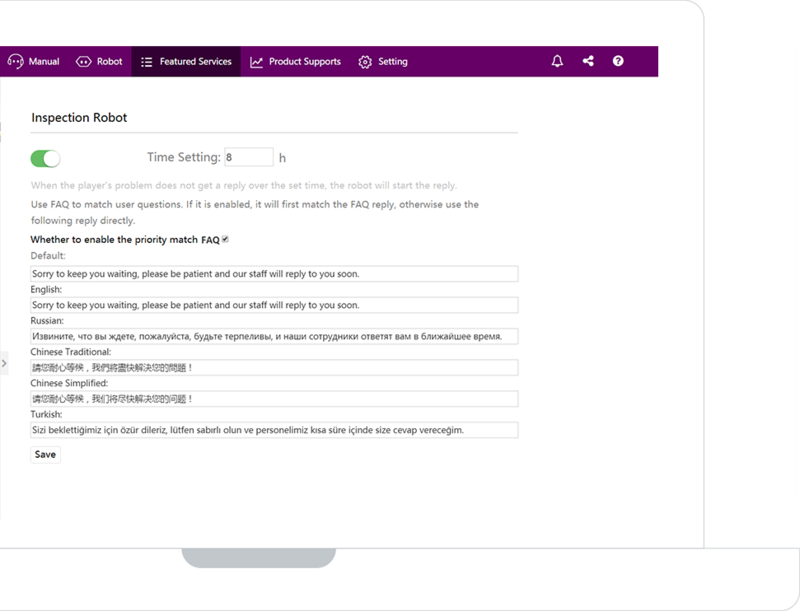 AIhelp created this feature in order to help customer support team engage with users till the native human support get back to help users with their issues. When customers are complaining about new features, engage with support team or some FAQs can not solve their problems well. How should we get this information as soon as possible? AIhelp Hotwords and FAQ analysis helps you keep up to date with your customers' enquiries and inaccurate FAQs, enabling rapid product updates. We keen to make it easy for your support team to manage social channels from one centralized view. No matter where the user’s feedback come from, Google Review, Facebook Messenger, Web, Mail, WeChat etc. You can engage with them only by on platform – AIhelp. 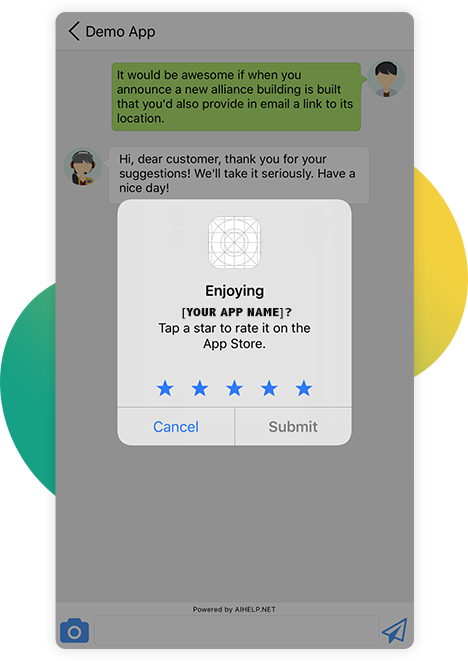 The provided feature designed to prompt users to review your app; this functionality allows users to provide an App Store / Google Play rating and review without the inconvenience of leaving your app. In addition, review and response user review from AIhelp Backend platform. Inevitably, its important to response user review as fast as you can, by doing this, you are showing credibility and also that you care about your user’s opinion. AIhelp platform built using Machine Learning for powerful cloud-based analytics to make it easy for developers to make smarter decisions, solve customer issues instantly and make sense of massive amounts of data. Both of Mobile and Web versions are AI Mobile/Web support using Machine Learning for powerful cloud-based analytics include many built-in packages such as In-App Messaging, AI Chat Bots, In-App operation, Push Notification, Smart Auto-Form and more.